Auchan is a French multinational corporation present in fifteen countries, with almost 270,000 employees in its retail business. Auchan’s subsidiary Auchan Russia operates hypermarkets in the Russian-occupied territory of Crimea. Shortly after the Russian takeover in 2014, Auchan transferred management of the business from its Ukrainian subsidiary to its Russian subsidiary. From its Crimean logistics center, Auchan provides a full range of goods delivery services covering dozens of towns and cities in Crimea. 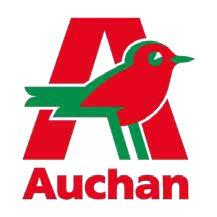 Auchan also apparently maintains assets in Eastern Ukraine, in areas controlled by Russian-supported insurgents. In April–May 2016 it was announced that Auchan Russia will be exporting its private brand chocolate to Italy and Europe. In 2017, Auchan Retail Russia, which already has more than 100 hypermarkets and hundreds of supermarkets and smaller units in Russia, plans to invest $500 million in development and begin construction of one of the largest logistics centers in Europe for its Russian activity. Auchan Russia’s CEO, Jean-Pierre Germain, announced Auchan’s plan to continue annual investments of some $500–$600 million in Russia. Although Auchan officials cite some legal separations that allegedly protect them from responsibility for Auchan Russia’s dealings and sanctions violations, even a short review of Auchan Holding’s annual and financial reports leaves no doubt that Auchan Russia plays an integral role in Auchan’s global structure and more importantly, has strategic importance for Auchan’s global development and growth plans. 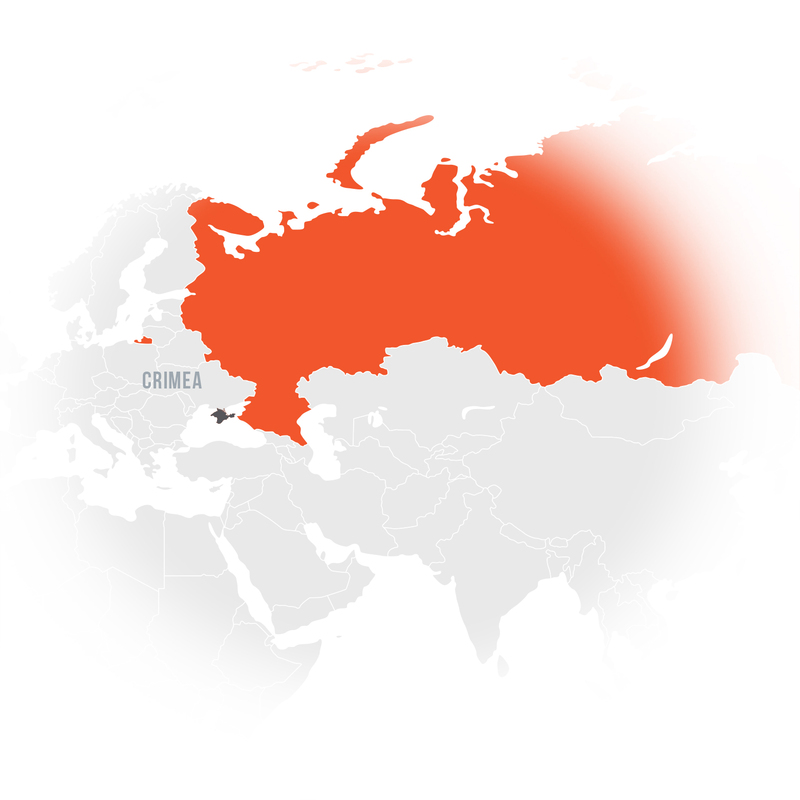 In April 2017, the Ukrainian government instituted legal proceedings against the company because of its Crimea operations. Nonetheless, Auchan insists its operations are lawful and will continue. Sevastopol City News, “Metro and Auchan Transfer under Russian Jurisdiction First among Retailers in Crimea and Sevastopol,” April 14, 2014, http://sevastopol.su/news.php?id=60701; Retail Magazine, “Retailers are being re-registered” http://www.retailmagazine.ru/publto.php?numn=5582. RBC, “Auchan in Arms: How French Retailer Works in Donetsk,” March 25, 2015, http://www.rbc.ru/business/25/03/2015/5512c7bd9a79475defb87576. Yulia Kalachihina, “Crimea Will Become a ‘Pouring Tool,’” Gazeta.ru, March 24, 2015, https://www.gazeta.ru/business/2015/03/23/6611337.shtml. Auchan Russia, “Wilhelm Hubner Declared Auchan Retail Investments for 2017 at Russia is Calling! International Forum,” October 12, 2016, https://www.auchan.ru/ru/news/702. chan Russia, “Auchan Retail Russia and Radius Group Will Construct One of Europe’s Largest Logistics Centers,” October 12, 2016, https://www.auchan.ru/ru/news/701. VOANews, “Auchan is About to Invest 20–30 Billion Rubles a Year,” December 13, 2016, http://vaonews.org/home/irpt-in-world-media/7324-ashan-budet-investirovat-v-rossiyu-20-30-mlrd-rubley-v-god.html. Kauppalehti, “Reuters: How EU Firms Skirt Sanctions to Do Business in Crimea,” September 21, 2016, http://www.kauppalehti.fi/uutiset/reuters-how-eu-firms-skirt-sanctions-to-do-business-in-crimea/ewAe9WBn. Auchan Holding, Annual Reports, http://www.groupe-auchan.com/en/our-results/annual-reports/; Auchan Holding, 2015 Financial Report, http://www.groupe-auchan.com/fileadmin/documents/2016)/RAPPORT_FINANCIER_GB_-_FINAL.pdf. Rambler News Service (RNS), “Auchan, the Company, Will Continue Operating in Crimea, despite Ukraine’s Prosecution Moves,” April 28, 2017, https://rns.online/consumer-market/Auchan-kompaniya-prodolzhit-rabotu-v-Krimu-nesmotrya-na-deistviya-genprokuraturi-Ukraini--2017-04-28/.